Felt is probably one of the oldest known textiles, having been used for centuries to make clothing, footwear, tents and carpets in many parts of the world. 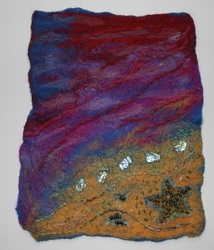 In recent years it has also become a popular medium with textile artists and is often used in textile crafts. 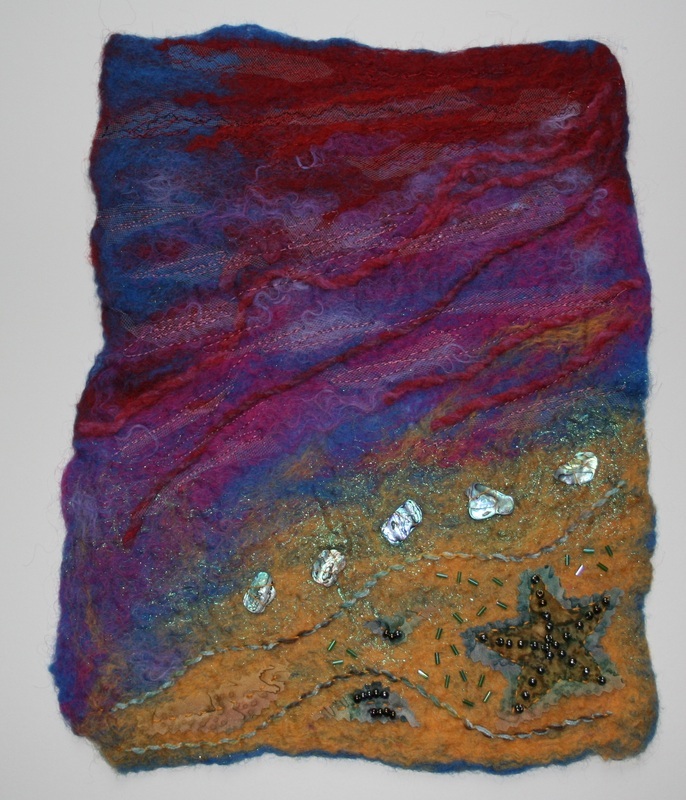 Felt is a wonderful fabric to stitch into and is incredibly versatile. Depending on the type of felt, it can be used to make fine draping scarves, jewellery, hats, bags, or thick water-resistant boots. The basic principles of making felt have remained unchanged since ancient times – the essential ingredient is wool, which is made into felt by adding water, friction and heat. The most popular type of wool for wet felt-making is merino, a fine wool that felts easily and is widely available in many different colours. The wool is purchased as carded fleece (or tops). 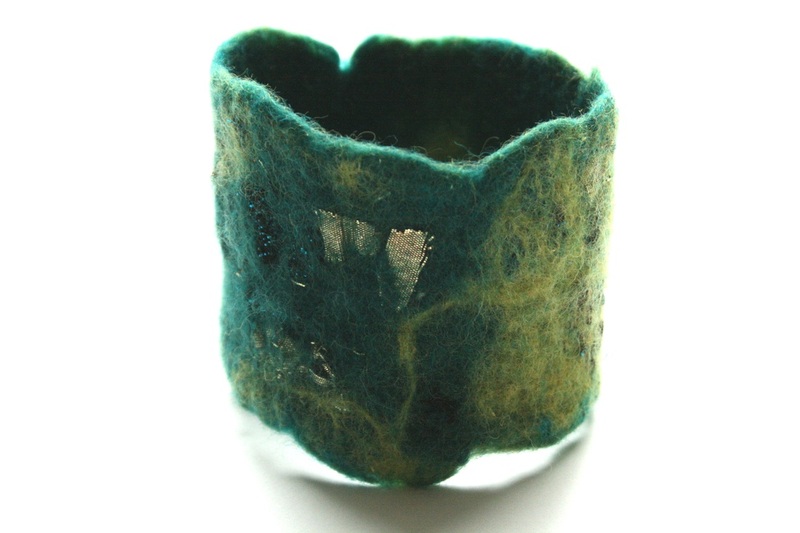 Other wools can be used in felt-making to give different textures, and other fibres, synthetic yarns and even scraps of fabric can be added during the felting process for decoration. 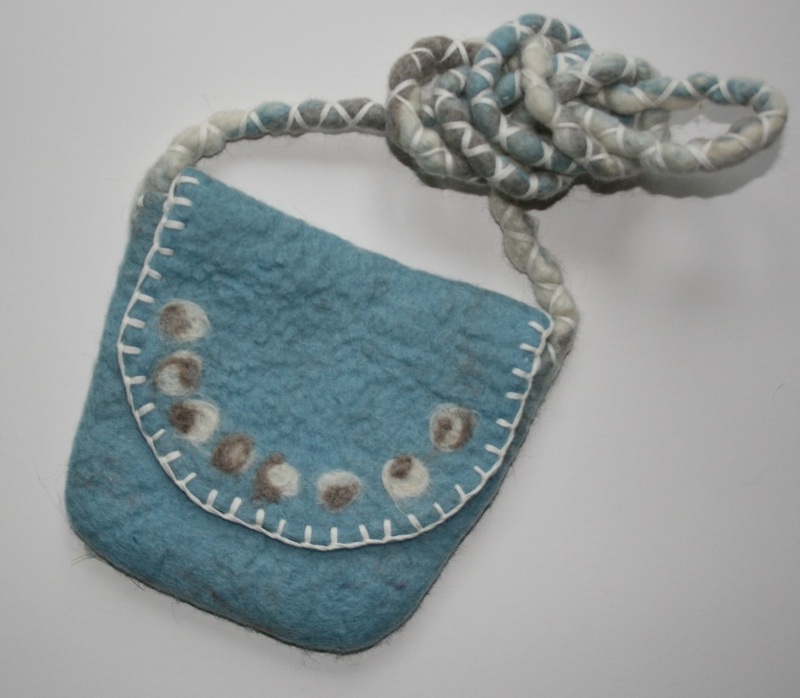 You can now purchase a 'takeaway' version of my felt-making workshop. 'Introduction to Felt-making: Workshop in a Box' is now available to buy online and at craft fairs. The box includes clear, printed instructions and all the materials and equipment you need to start making felt (just add water!). A great gift idea at just £19.50 plus postage. Available to buy online and at craft fairs. Visit my Etsy shop to order one.